We make kind of a big deal about the month of March at TP’s Irish Pub (specifically one day that falls between the 16th and the 18th), and we want you to know about everything that’s happening this month! 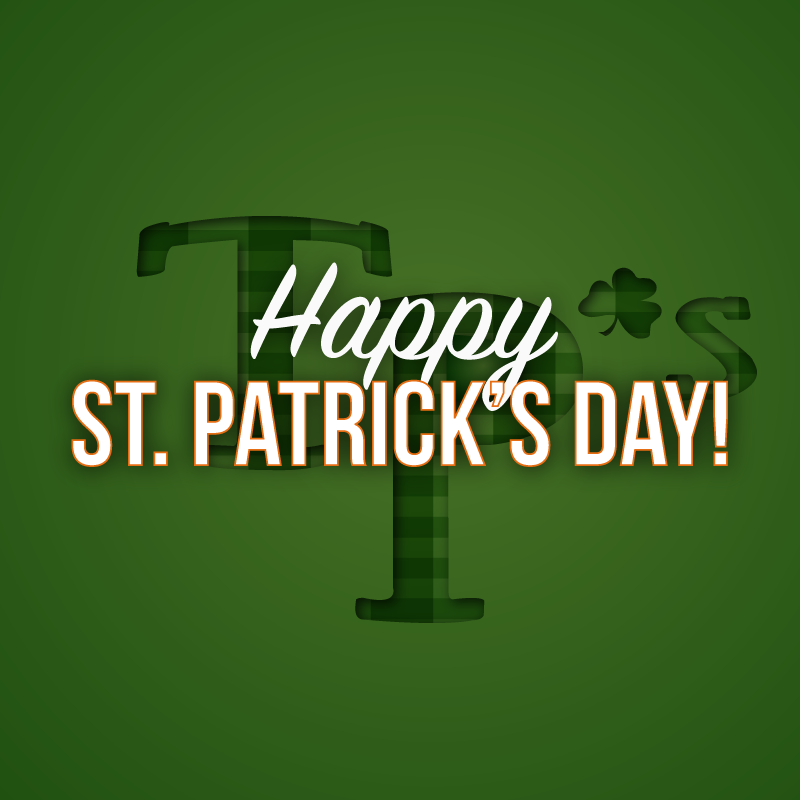 Visit our St. Patricks’s Day page by visiting tpsirishpub.com/stpatricksday for details on our authentic Irish meal specials, Irish dancing performances, live music, drink specials, March Madness information, and much more! After you check the page, come and join us for a pint of Guinness and some authentic Corned Beef and Cabbage to celebrate St. Paddy’s the authentic Irish way! Happy St. Patrick’s Day to all and to all we say, sláinte!